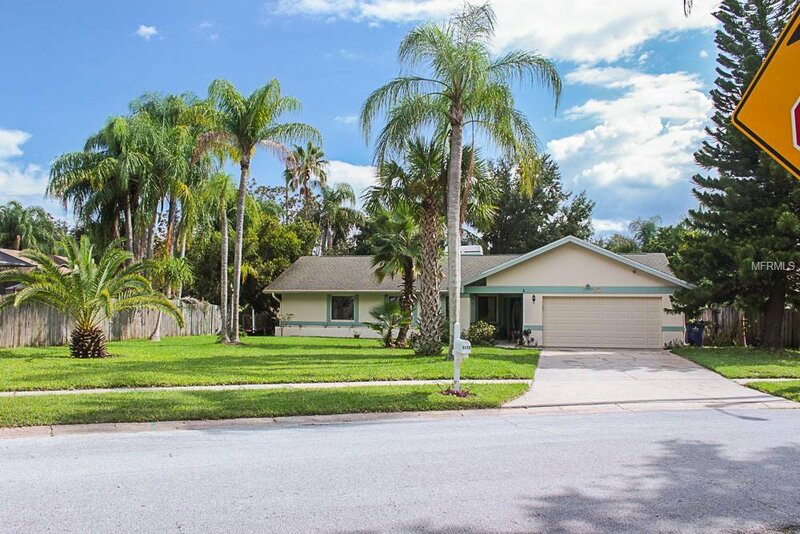 Desirable Falcon Ridge location near shopping, Palm Harbor Middle and Palm Harbor University, athletic fields, transportation, library, and restaurants. Less than five miles from the Gulf but not in flood zone. New roof October 2018. Pool with new pump and filter. Privacy fence, new landscaping, and new 8X10 shed. Ceramic tile through common area, new 4 1/4" base as well, remodeled master bath, crown in master bedroom and den, new paint inside and out, rescreened pool cage and lanai, new drywall and insulation on lanai ceiling, new deco drain, ceiling fans throughout, new faucets, stainless appliances, plantation shutter in kitchen, mirrored closet doors, custom oak cabinets in den, camera security system, motion lights front and back, new garage door and opener, and new screens. Over 2600 square foot under roof on oversized lot. Listing courtesy of KELLER WILLIAMS REALTY. Selling Office: TOM TUCKER REALTY.